BIRTHDAY POLICY: Book your group and the Birthday Boy / Girl gets in FREE! the birthday boy / girl gets in FREE! 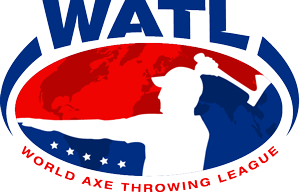 WORLD AXE THROWING LEAGUE (WATL) - WHY ALL THE AXE-CITEMENT!? We can't help but to look forward with excitement and enthusiasm to the inaugural 8 week World Axe Throwing League Tournament. For those not in the know, this will be taking place at Tom O' Hawks Axe Throwing Club, Galway beginning on October 13th. We have received so many enquiries from people looking to come train with us and to compete in the World Axe Throwing League and this gives us great hope for the future of the sport of Urban Axe Throwing in the West of Ireland. Urban Axe Throwing has been slowly gaining momentum and popularity in North America in recent years from its humble beginnings in a suburban backyard in Toronto. While not quite a mainstream sport in the West of Ireland, Urban Axe Throwing does have a bright future. It is hugely encouraging to see both men & women pass through the doors of Tom O' Hawks Axe Throwing Club and to be able to enjoy the sport as much as we do. To draw some parallels, who would have thought 20 years ago darts would have reached the popularity it now currently has? And again, who would have thought the UFC would become the global sporting phenomenon it is today? Let's create an Irish Axe Throwing community which has the means to unearth and nurture our own "Notorious" Conor McGregor or Phil "The Power" Taylor! It's great to see all of our Axe Throwing participants bring their own unique personalities and flavours to our Group Axe Throwing Events and League Nights and this is something we encourage. HOW DOES AXE THROWING INSPIRE US? It is amazing to see new participants willing to learn something new, exciting and challenging with such open-mindedness and enthusiasm. With each and every throw, we witness people grow in confidence as they find rhythm with their technique and begin to consistently sink the axes into the targets. Without doubt, one of the most satisfying things to witness are those huge beaming smiles and uncontrolled moments of excitement when our participants sink that first axe into the target! So why not sign up, learn a new skill and join us in competing against axe throwing clubs around the world for the World Axe Throwing League Tournament? It could be your new addiction and the sport for you! Limited Availability. Book in Advance. What is Tom O' Hawks?